Should you buy a Hewlett-Packard PC (or tablet, or printer)? That question that certainly is on some customers’ minds after the company’s announcement Monday that it will split its PC and printer operation from its enterprise, software and services business. HP’s customers had a similar concern when HP first floated the idea of breaking up the company in 2011. At that time, HP had no plan in place, but the company this time knows what it is doing, said Patrick Moorhead, president at Moor Insights and Strategy. When former HP CEO Leo Apotheker proposed the breakup three years ago, “it was just the PC business he was going to separate, not PC plus printer, and he didn’t actually have a plan, but a communication that he was looking into a spin-off,” Moorhead said. HP’s PC operations won’t change even after the breakup, and customer service is not likely to deteriorate. Operationally, the new HP Inc. will look the same as the PC operation under the old entity, and customer service will be closely watched in the transition so no customers are lost, said Roger Kay, principal analyst at Endpoint Technologies Associates. HP Inc. may actually have to hire more people to serve and retain customers, which is typical in de-mergers, Kay said. HP will aggressively chase low-cost tablets and PCs in the short term, but may switch strategy to high-margin products in the long run. HP as a combined entity was able to acquire components at cheap rates, and also provided strong distribution and logistics capabilities. That helped HP sell tablets and laptops at low prices, but HP Inc. won’t be able to leverage its old size advantage in the future, said Stephen Baker, vice president of industry analysis at NPD. 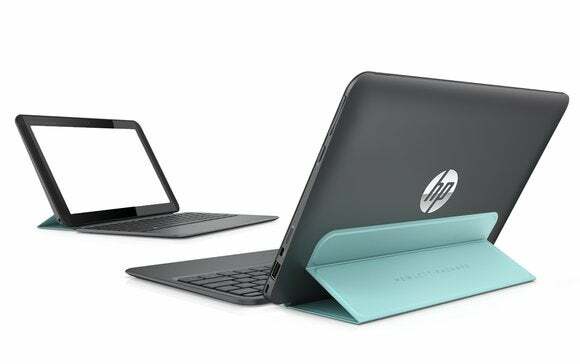 Moreover, tablet sales seem to be peaking, and HP’s breakup could trigger consolidation in the highly saturated PC market, which could drive up tablet and laptop pricing, Baker said. On high-end PCs, HP will have to compete with Apple, which has its challenges. Dell and Lenovo will lure HP PC buyers—particularly in the enterprise—into their camps by raising doubt about HP’s future as the transition takes place. That’s a win for the customer, who can take advantage of discounts or other promotions offered to switch over. HP will try to diffuse the situation and retain customers with counteroffers of its own. A similar practice exists in servers, where HP and Dell went after customers of IBM’s x86 server business, which was ultimately acquired by Lenovo in a transaction completed last week. Analysts said HP’s printer business is losing the financial clout it had, and faces an uncertain future. HP Inc. will continue to offer printers and ink to consumers, but enterprise customers with managed printing services may be stuck in the middle with hardware belonging to the PC organization and some management and security software to the enterprise organization. Technalysis analyst Bob O’Donnell said it will be interesting to see how enterprise customers respond to the proposed split, and how HP will manage that operation. But for HP, printer sales were largely tied to the services and software it sold, so the breakup is perhaps not a good idea, O’Donnell said. “It’s a lot more for the shareholders than for the customers. After seeing these businesses evolve, there’s an increasing need for hardware and services together,” O’Donnell said. HP’s printing business faces an uncertain future, NPD’s Baker said. “There’s more challenges on the printing side than on the PC side. Usage has gone down, volume has slowed. There’s more risk,” Baker said.